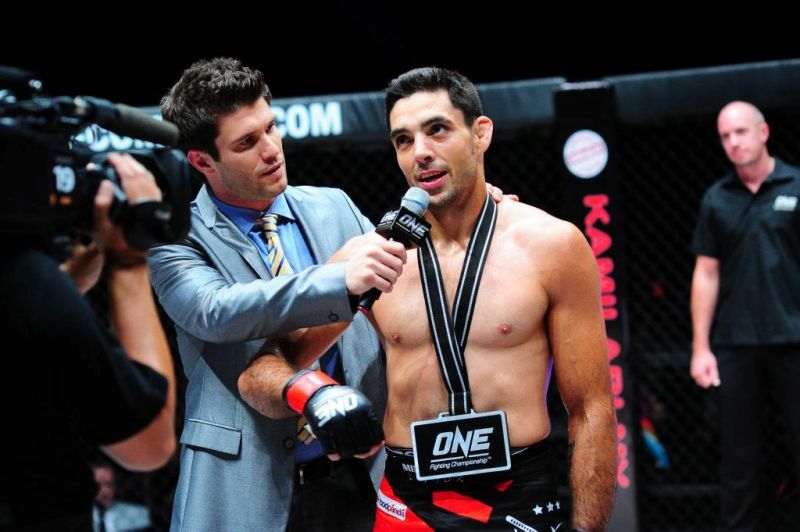 The One Fighting Championship is finally here! I have been waiting till this day since the workshop that they had a while back. You may see the workshop HERE. 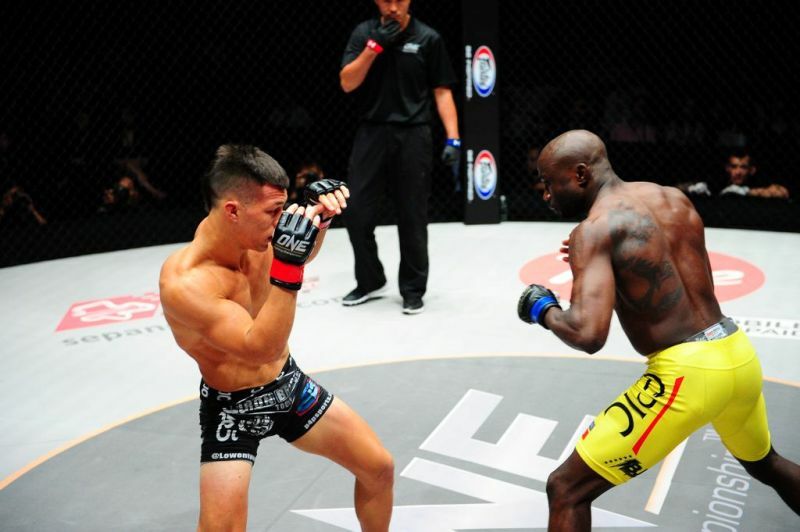 The ONE FC Return of Warriors was a LIVE show on the 2nd of February, 2013 not only in Malaysia, but internationally on the web. If you did not already know, One FC has a partnership with Tune Talk. May read about that HERE. It was extremely hot on this day as I literally felt like I was in the sauna. 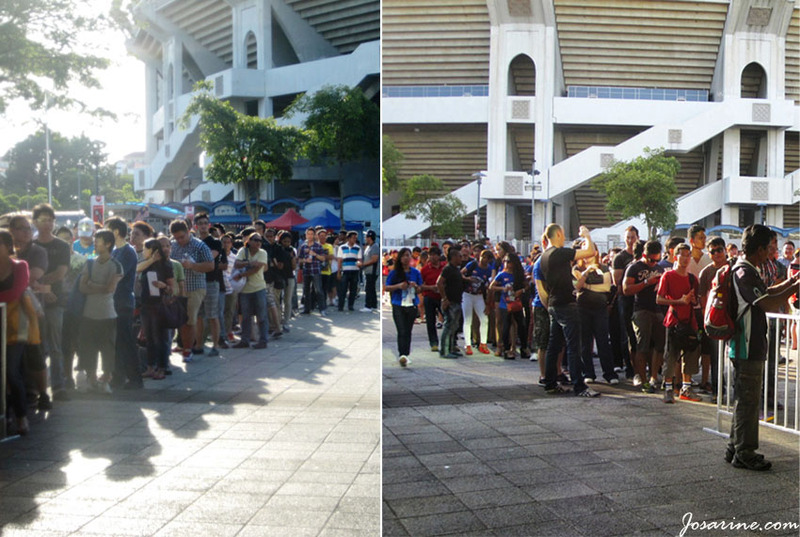 Regardless of that, I noticed people still stood in the hot weather waiting to enter into the stadium for the anticipated show of ONE FC: Return of Warriors. Thankfully Tune Talk gave out free ice cream (while stock last of course)! 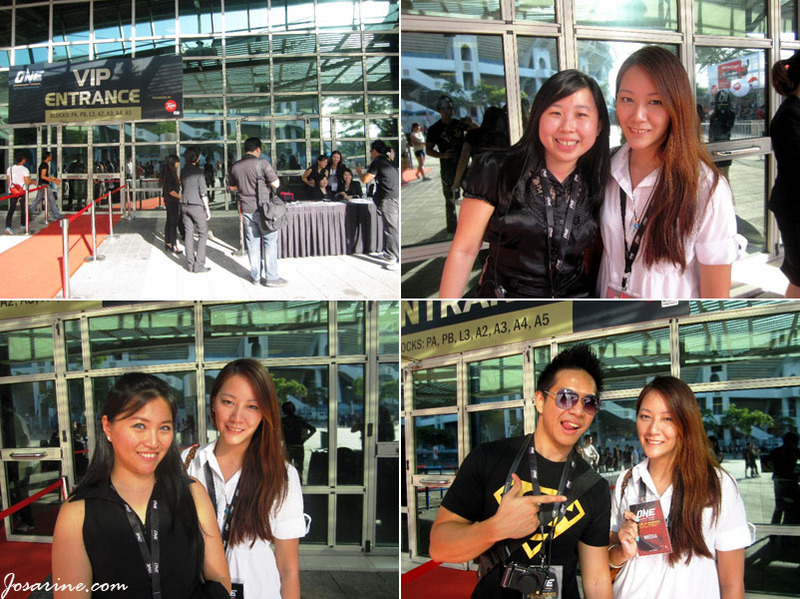 My fellow blogger friends and I managed to grab one each for ourselves while sneaky Henry Lee managed to get two! Being early always has an advantage. When I arrived I had time to take pictures with friends, members of the PR and also the stadium/hall for the show. When the show started 70% of the seats were filled. But after a few fights I noticed it was almost full house! Amazing show up I would say. When the doors were about to be opened to the public, people started queuing to enter. There were two to three lanes if I remember correctly, and the lanes were really long. More people arrived and entered through the VIP door as well. 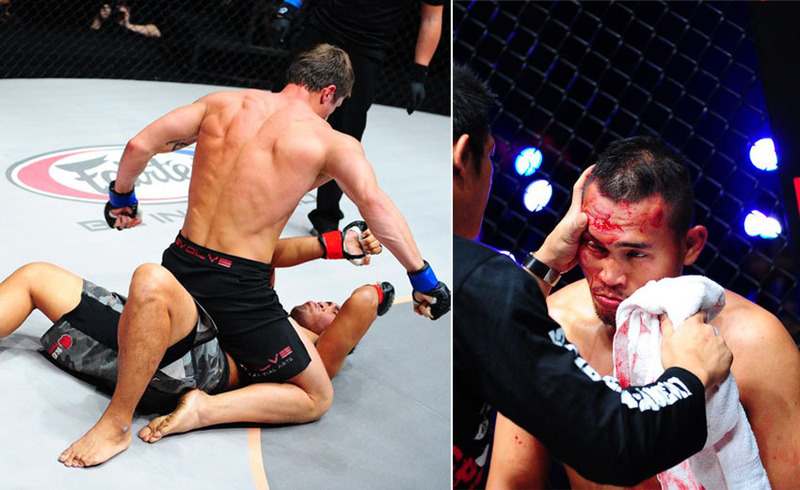 The opening fight was between the handsome American, Jake Butler and Antoni Romulo from Indonesia. The first fight I would say was pretty attention grabbing for me, NOT ONLY because Jake is hot, but also because of my term of 'violence' in the fight. Once Jake was on top and having more advantage he punched his opponent repeatedly till he bled as Antoni refused to surrender. Jake Butler won the fight. 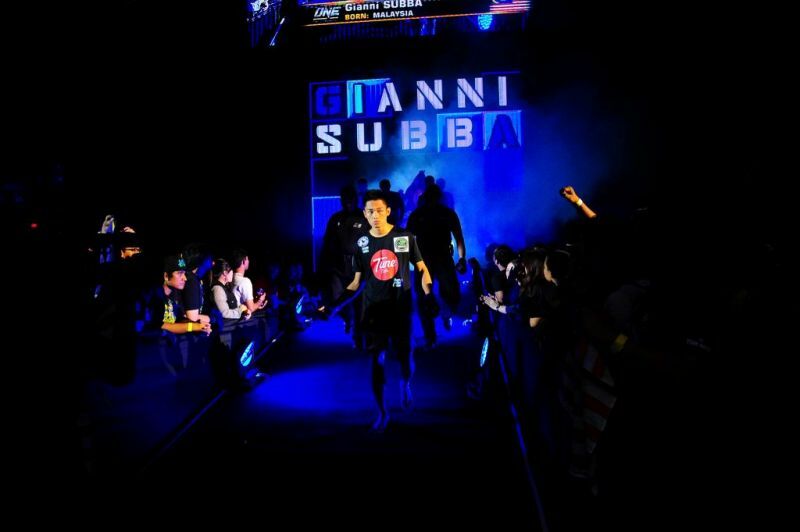 The second fight of the night was between two Malaysians, Gianni Subba and Saiful Merican (The Vampire). Saiful's entrance was interesting, as he walked down, his fellow students were holding lighted candles and followed him out, to show their support. 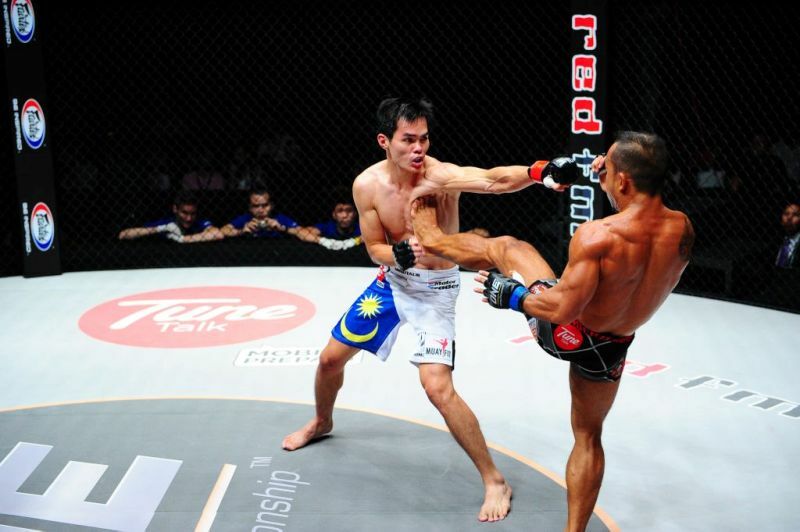 This fight was pretty intense because most of the people were cheering for Saiful, but Saiful had the disadvantage by being on the ground most of the time. 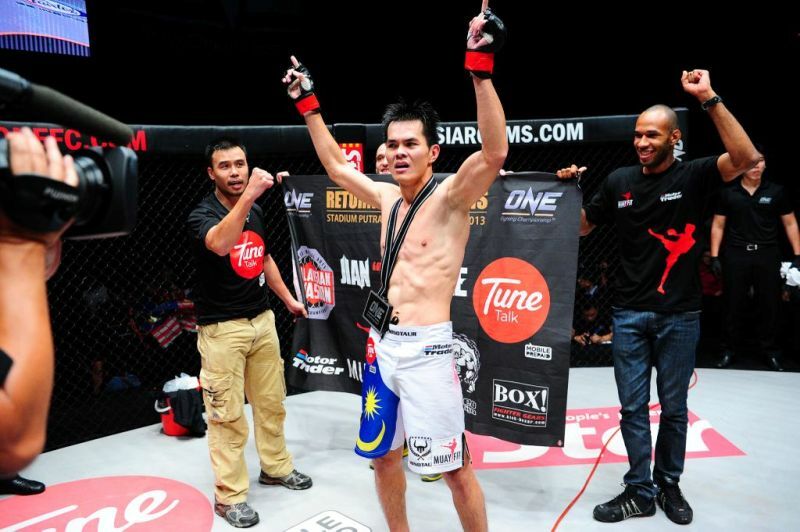 Saiful however did managed to get himself to the top at one point which really amazed the viewers as it requires a lot of energy and strength to actually push his opponent who is on top and bring him down to the ground. 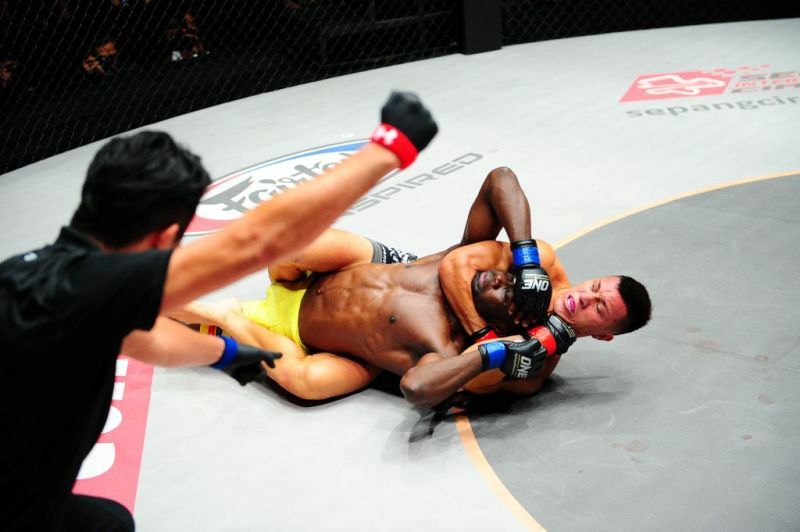 The third fight was between AJ Lias Mansor (Pyro) and Chee Jian Khai (The Headhunter). I cheered for AJ because I like him better. I like that he's humble and nice, I remember I sat at the same table as him after the conference, I didn't even recognize him as one of the fighters because of how humble he is. Unfortunately, after a while I could see that AJ's movement started to slow down and I also noticed he was getting tired. Jian Khai won the fight. The 4th fight between Melvin Yeoh (Overkill) aka the Johor school teacher and Raymond Tiew (The Rocket) was pretty intense as well. From what I saw, both of them went all out. I noticed that Raymond tried pretty hard trying to defeat Melvin, but Melvin who is known to be really good did not disappoint us and won the fight. Although Melvin won the fight, he was very considerate of his opponent Raymond by giving him several hugs to try to cheer him up. Melvin also raised Raymond's hand together with his in a way to show that Raymond is a winner as well. Melvin really showed a lot of respect to his opponent by not being arrogant and considerate. The 5th fight of the night, between Thanh Vu (Aladdin) from Vietnam and Mohd. Mohd. Fouzein (Malaysia). 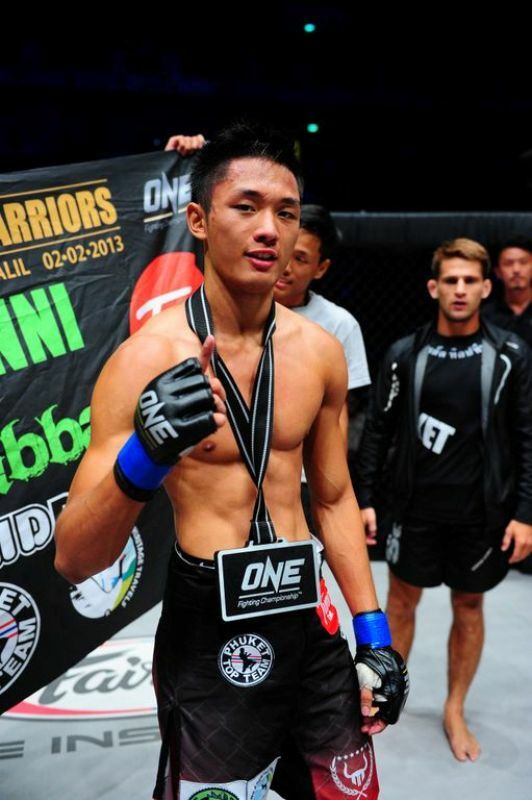 Vu's main opponent was supposed to be Raymond Tan but according to Tony from http://www.colourlessopinions.com, they had to switch fighters due to injury. The fight ended so quickly probably less than a minute, and Thanh Vu from Vietnam won the fight. 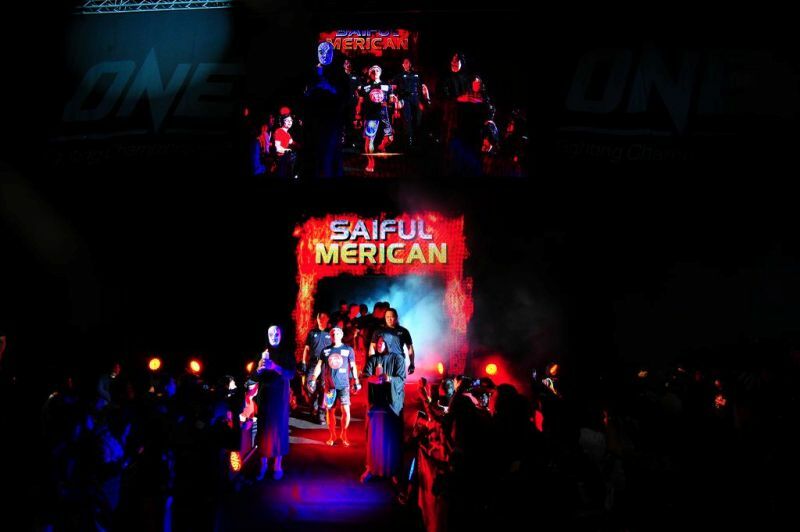 Adam Kayoom from Malaysia vs. Zuli Silawanto. During the introduction for Adam, he danced along with the music which so far none of the other fighters did. First impression of based on his entrance was that he seems very playful and cheeky. However when the fight begin, 'serious' is the only thing I saw. 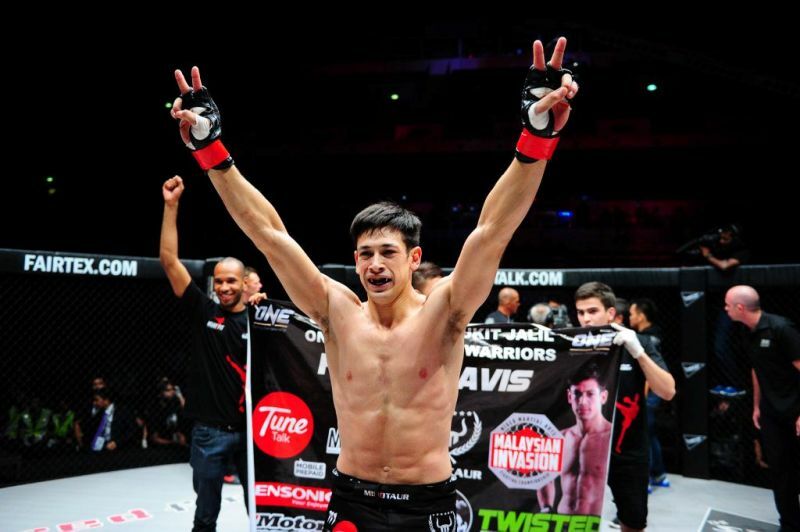 "Kayoom easily dispatched of his Indonesian opponent, Zuli Silawanto in clinical fashion. 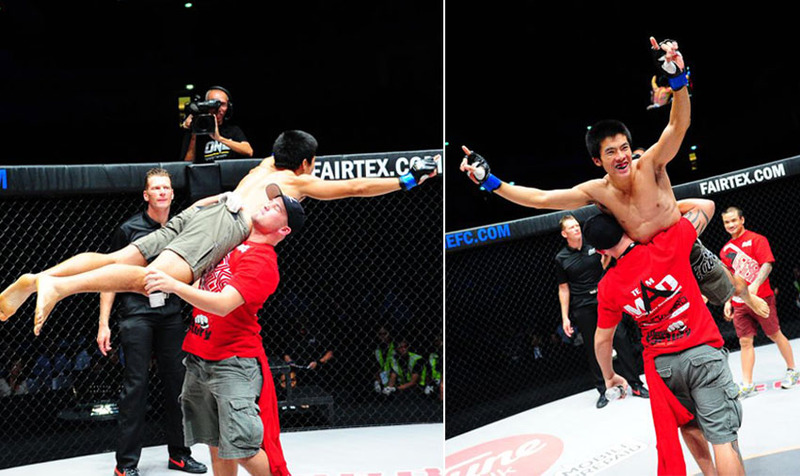 Kayoom used a picture-perfect takedown and smothered Silawanto with his top control while dropping sharp elbows. The opportunistic Kayoom managed to secure back control and slipped in a rear naked choke to finish the fight in round one." Adam won the fight and gave a short speech, telling everyone that all the fighters sacrifice a lot of their time for training purposes. Adam has not seen his new born baby of five months for a few weeks now due to the training. He also added that he doesnt give a shhh on what the people on the internet say about the fights. I'm guessing there must have been a little bit of negative comments. But not only on the internet, even among the viewers that were there last night. I heard some people complain saying stuff like "boring la", "fight la", or "boooooooooooo". 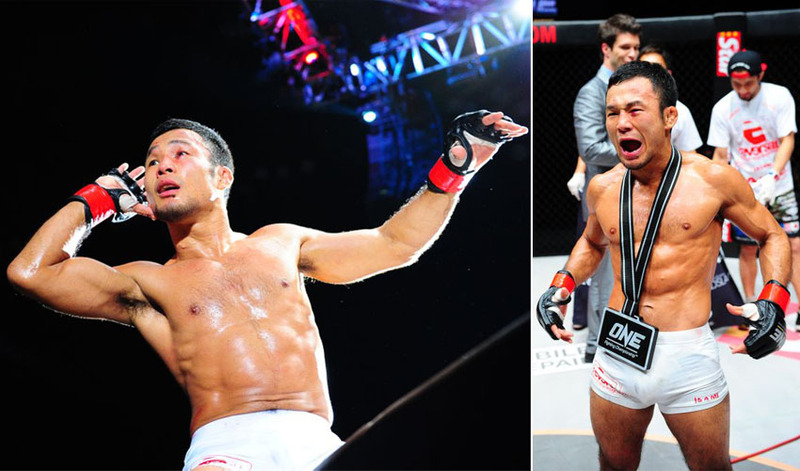 To the viewers they think that fighting championship like such is easy when it is clearly not. A few times I actually felt like telling those who were complaining to get down and fight with the fighters, see what they'll say then. The fight between Vuyisile Colossa (South Africa) and Lowen Tynanes (USA)-who is only 22 years old. "Vuyisile Colossa and Lowen Tynanes put on a showcase that exhibited the many facets of MMA. Tynanes utilized his wrestling to subdue Colossa in the first round, coming close to finishing the contest with several submission attempts. The South African Muay Thai champion Colossa came storming back in the second round as he peppered Tynanes with leg kicks and elbows. 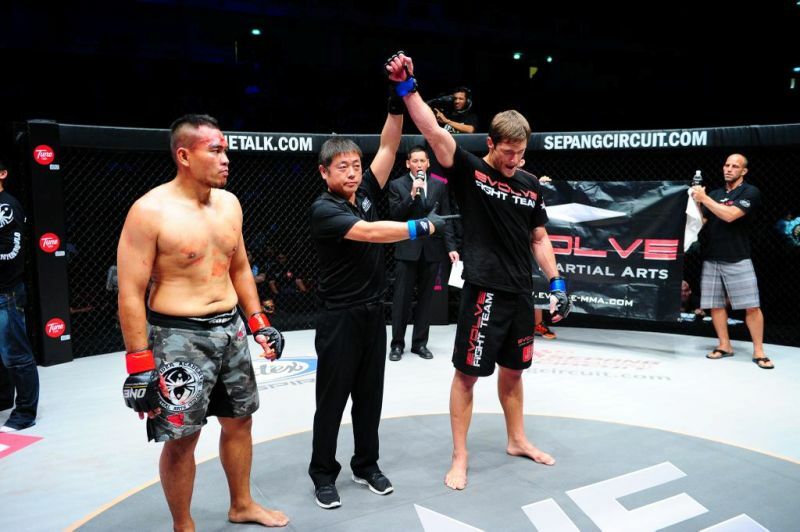 Tynanes returned to his wrestling roots in the third stanza as he secured a takedown and eventually tightened a rear naked choke that forced Colossa to concede defeat." During some where in the middle of the fight Lowen got injured at the head and there was a little bleeding but he did not quit. As second round started till the end Lowen went all out in making sure he does not lose. Both of the fighters gave all out but Lowen who was injured, even to a point when he started bleeding quite a bit (there were blood stains on on Colossa's body and pants, and on the ring) Lowen continued on. Exactly at this position, Colossa submitted and Lowen won. In the co-main event of the night, Rey Docyogen (Philippines) vs Shinichi Kojima (Japan), Kojima who was cheered by the audience with the name "BJ" showed toughness in defeating his opponent. BJ pulled off a guillotine choke in the clinch and pulled guard to finish the fight. The moment BJ won the fight he got excited and hyper and climbed on the fence of the ring as people cheered for him. In the picture on the left above shows BJ listening to the audience cheering for him. BJ was interviewed and said "arigato" to everyone, he ended his speech with saying "terima kasih" and the crowd cheered louder. The fight between Eric Kelly and Honorio Banario both from the Philippines was the main fight of the night. For the main event, there was a total of 5 rounds instead of 3. From what I saw, the first 3 rounds of the fight was very very safe, nothing much going on. Half way around the 3rd round I could hear people complaining "boring". But I was also thinking that both of them are probably trying to save their energy for the 4th and final round. Although the first few rounds seemed pretty safe, Honorio was pretty active throughout the whole three rounds while Eric seemed more relaxed. In the fourth round Honorio hook punched Eric's right eye (which was seriously injured and swollen before this). Eric paused for a few seconds and I believe he then felt the pain and fell on the ground, and the fight ended. Eric who had eye injury before mentioned that his eye was 100% cured when one of the blogger, Tony from www.colourlessopinions.com asked during the workshop. I hope Eric's eye is fine and will be able to fight again. 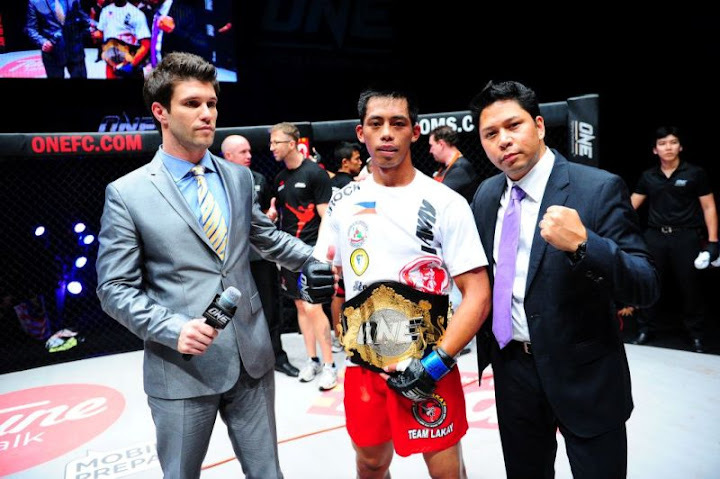 Any who, congratulations to Honorio Banario for winning the ONE Fighting Championship: Return of Warriors 2013! 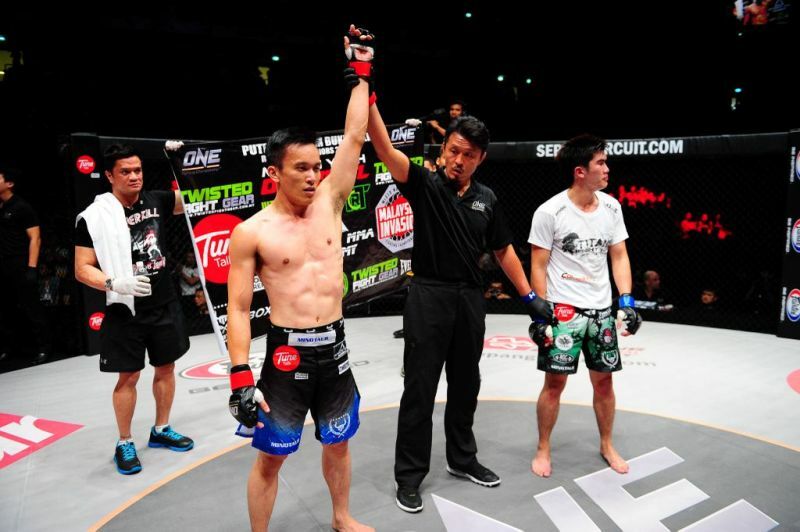 Also stay tuned for the next One FC in Singapore that will be happening on the 5th of April 2013.